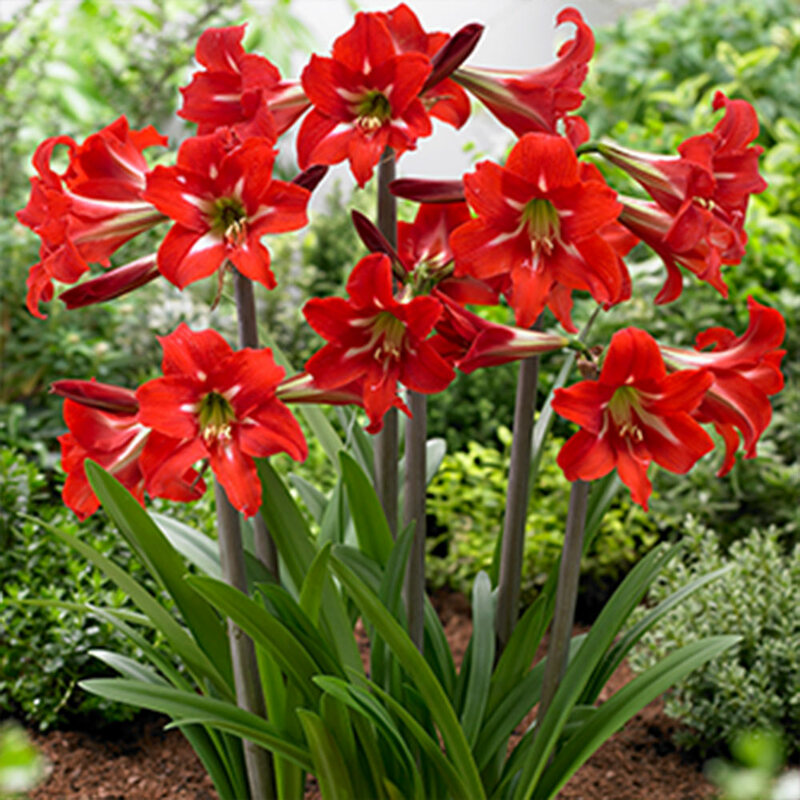 A new and premium Amaryllis Collection, bred for their elegance and effectiveness for outdoor planting. 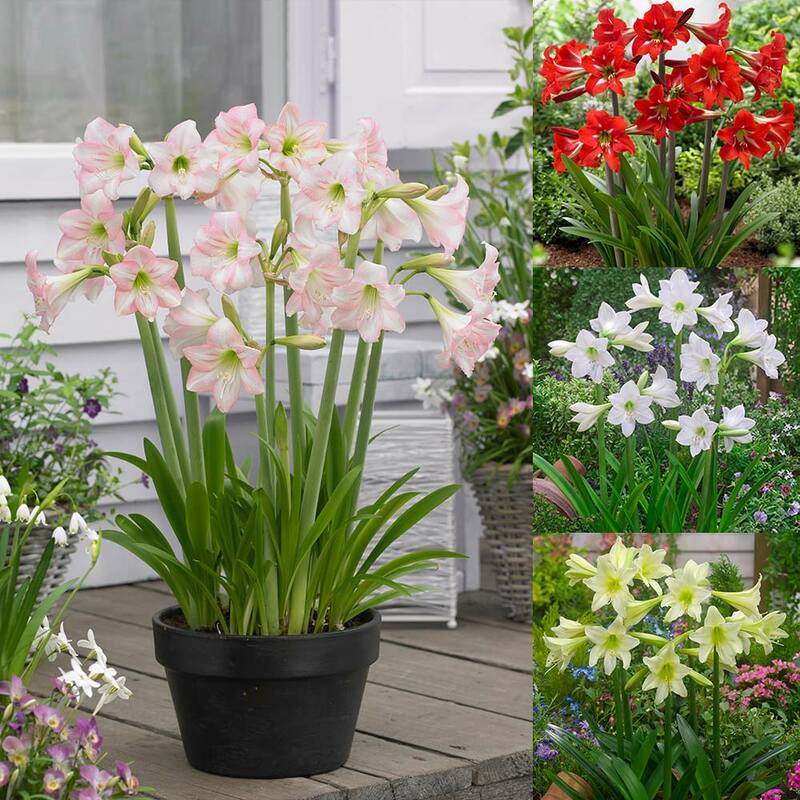 Amaryllis Sonatini, also known as Hippeastrum, are hardy outdoor Amaryllis that will produce at least two stems per bulb, with each bulb producing three to four flowers. They make an excellent subject for patio pots or for growing in flower beds. You will receive one each of Balentino (scarlet red), White Rascal (traditional white), Pink Rascal (pink) and Marrakech (yellow). Flowering from March onwards for a period of 10-12 weeks. Height 40-50cm. 14/16cm bulbs supplied. They are hardy by their very nature, but we recommend you apply a winter mulch to protect against very strong frosts. 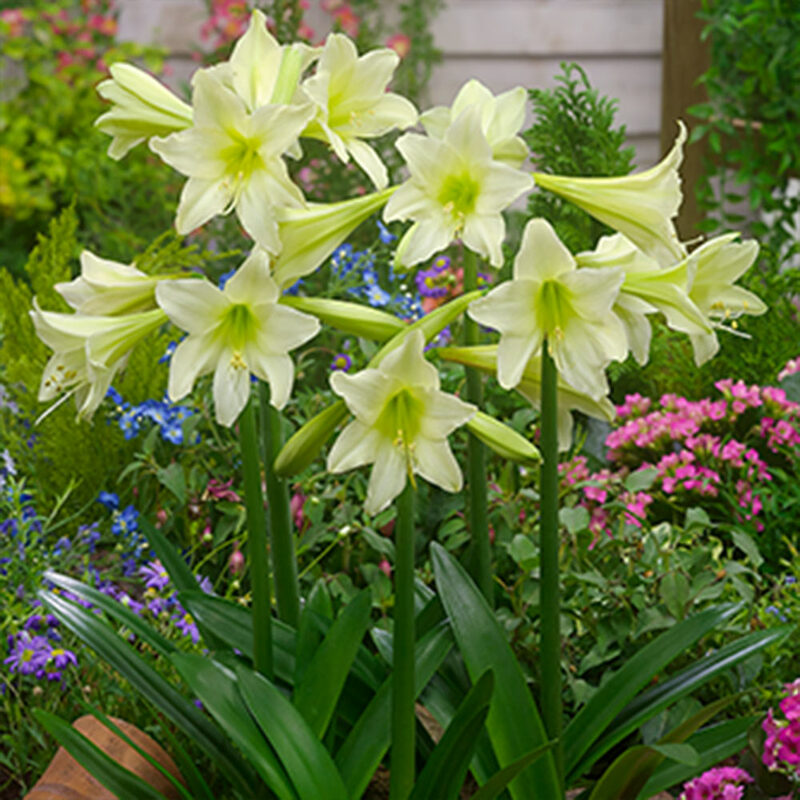 Plant each bulb in freshly prepared soil with the the roots down and at least 30cm apart. If possible we recommend planting in a location that will have access to as much sun and light as possible because these bulbs really thrive in full sun. 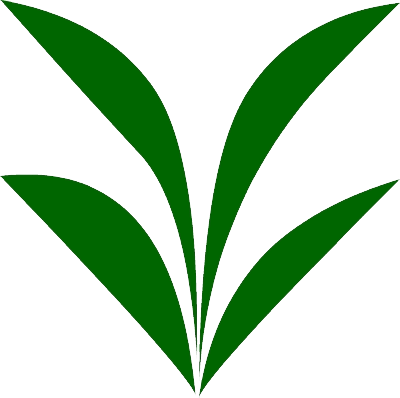 It is also advisable to add some organic mulch to the roots on planting to help enrich the soil. Water well after planting. 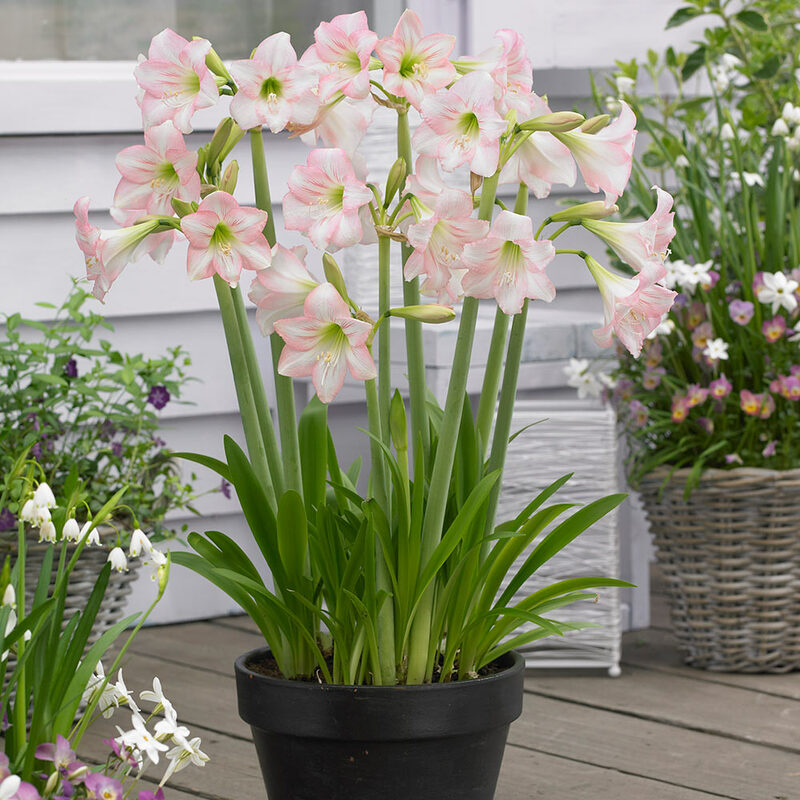 Unlike common Hippeastrum bulbs, this outdoor flowering variety can be grown in patio containers, flowers best in a warm sheltered spot. By late autumn the foliage and leaves begin to turn yellow and can be removed. 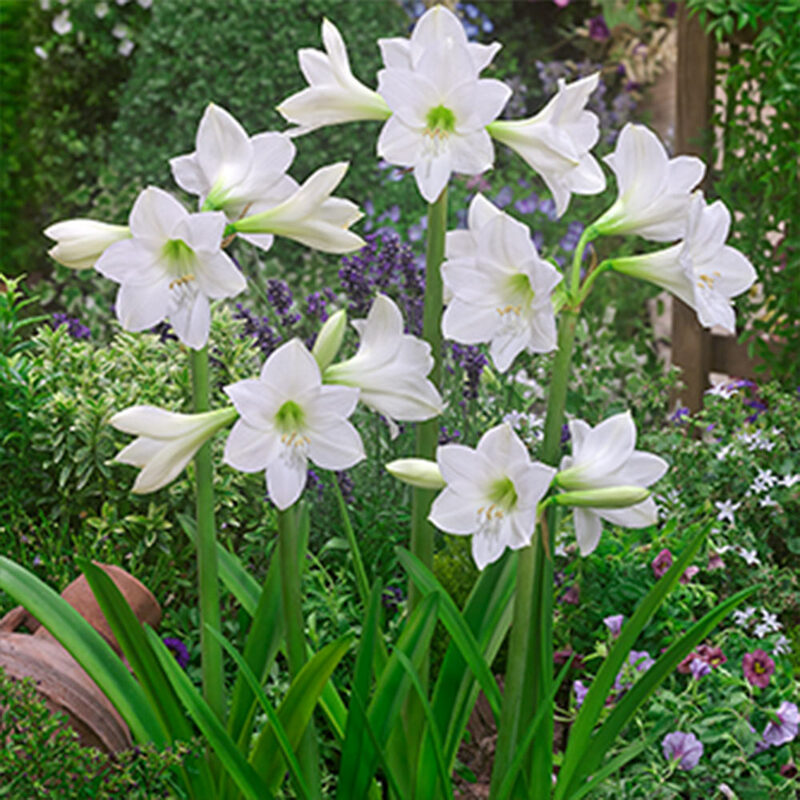 The bulbs rest after this period so avoid watering once foliage is all removed until the following year.